Perfect for custom builders, craftsman, woodworkers, and small sawmill operations, the MP100 is a specialized molder head that planes and molds beams and columns that join together perfectly. Kiln drying is the simple, cost-effective method recommended for anyone who wants to make money by selling dried lumber. This process controls humidity, temperature, and air velocity in order to reduce the risk of fungal stain, decay, rot, and mold. If you're looking to make your business as productive as possible, investing in a quality edger is a simple decision. In addition to the saved production time, you'll also be producing high value lumber. 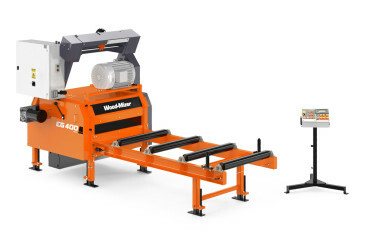 A Wood-Mizer resaw will take your cant and turn it into valuable lumber. 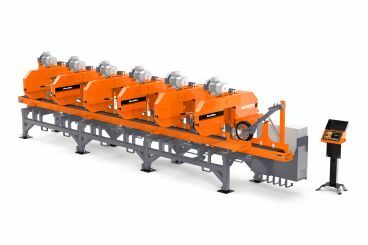 Adding a resaw to your operation will save you time and money by freeing up the amount of time you spend using your sawmill to make your lumber.